Identity and Access Management (IAM) is one of the most important areas in enterprise IT security today, and it’s only becoming more prominent as large-scale breaches of corporate networks and political organizations continue to shake consumer trust and incite ever-increasing government regulation. Staying on top of the latest news, trends, and best practices is a big part of the job for any InfoSec pro, and blogs are a great resource… but with content marketing as hot as it is, the web is awash with self-promotional content—it can be difficult to find useful information. Of course, this list is totally subjective, so if you think we’ve missed anything, feel free to let us know in the comments. 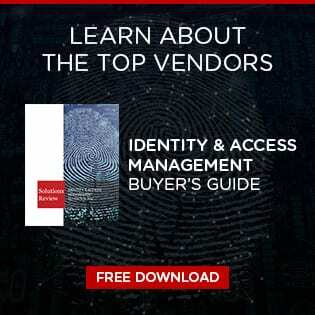 Also, feel free to check out our own coverage of Identity Management news, best practices, and buyer’s guides. How’s that for limited self-promotion? Why we read it: General authentication, access management, and governance best practices with particularly strong insight on verticals such as higher education and healthcare. Example Post: Is 2FA Enough, or Do I Need MFA? Why we read it: UXP’s blog has a unique focus on all things digital identity—from privacy to strategy, to the identity economy. Why we read it: Since acquiring UnboundID last year, Ping Identity’s blog has taken a strong focus on trends and best practices for customer identity and access management (CIAM) use cases. Why we read it: Matt Flynn is a leading IAM analyst who offers opinions on a variety of security subjects with a refreshing, vendor-neutral point of view. Why we read it: As a leading provider of IGA solutions, Sailpoint’s blog is a go-to for identity governance advice and best practices. Example Post: What’s the Goal for IT Leaders: Security or Complaince?